Although she left school at 16 and never planned to become a businesswoman, her success journey has given her true insights into the business process. Formerly Britain’s youngest-ever magazine editor (editing two mainstream fashion titles), Jo has translated her skills as a journalist into marketing, PR and brand-building. Through her presentations, Jo now takes audiences through every aspect of growing a business – from the bravery required to taking that first step (with £20,000 of her own savings), through to the practical and emotional aspects of an ‘exit’ strategy - and achieving that all-important (and elusive) work-life balance en route. Jo continues to juggle her work as a journalist and author (including of Sweet Dreams: The Story of Green & Black’s) with being a brand ambassador for Green & Black’s, as well as running an organic bakery and one-stop local food store and an 11-room ‘boutique’ wellbeing centre, in her up-and-coming home town of Hastings. She is also in wide demand as a brand consultant within the food and wellbeing industries. Jo has six ‘O’ Levels – and an Honorary Business Degree from Kingston University…! 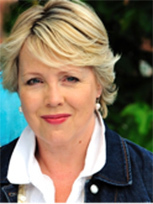 As one of the leading British businesswomen on the speaking circuit, Jo’s story is fascinating to entrepreneurs, women’s networking groups and to wider business or educational audiences both in the UK and internationally. Her brand-building experience is inspirational to anyone on a ‘business journey’ of their own, and her presentations also demonstrate that good ethics can be good for business generally, which is particularly relevant at a time when CSR is increasingly important within the business agenda. Jo’s presentations lead the audience through the rollercoaster story of Green & Black’s, using specific incidents to illustrate important business lessons. For several years, Jo shared her passion for fragrance via www.thescentcritic.com which is very much taking a back seat now that The Perfume Society is launched. Jo is Website Editor, and edits The Scented Letter. 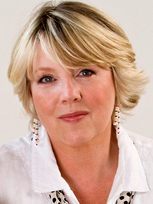 Jo is the current beauty editor at Waitrose Food Illustrated magazine which has a readership of 1.5 million.